Coconut oil has quite the list of uses and health benefits! I’ve spent some time going through this exhaustive list to pick out my favorites! 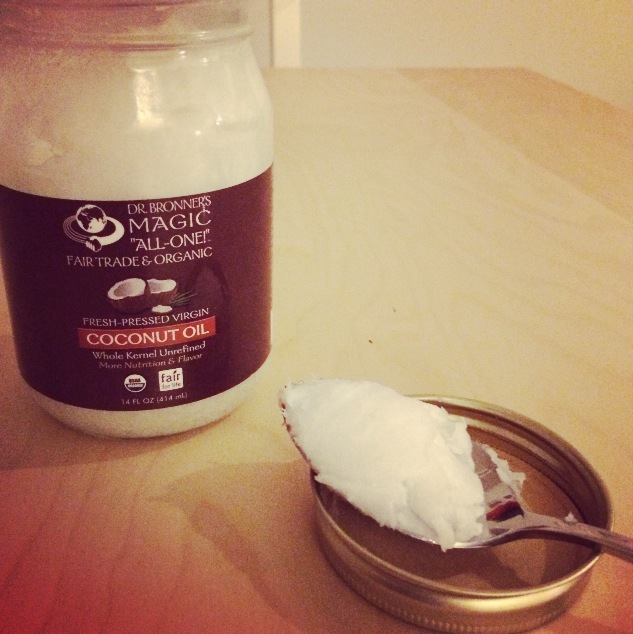 Check out my top ten uses for coconut oil below. Cooking – You can cook, saute, bake and broil with coconut oil and it won’t create harmful byproducts like some other oils/fats. Coconut oil can be used to replace butter (cup for cup) in recipes. Curb Appetite – Have a problem with overeating? You can take a tablespoon on coconut oil before meals to help curb your appetite. Cleanser/Makeup remover – Coconut oil has cosmetic applications! 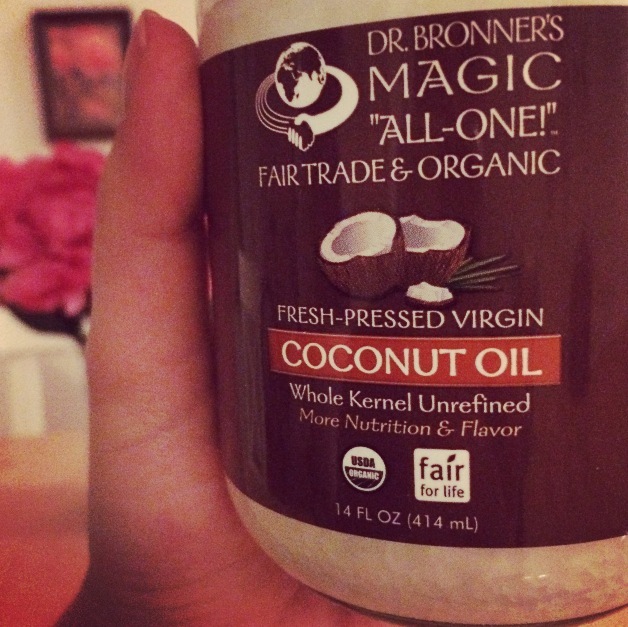 Coconut oil can be used as a facial cleaner or alone to remove oil-based makeup, like eyeliner and mascara. Fitness – Training for a race or getting back into a regular workout routine? This might be the perfect thing to add! Coconut oil helps to increase metabolism and improve your thyroid function. Coconut oil will also boost your energy and aid in healthy weight loss. Acne Treatment – Coconut oil gently fights the bacteria that causes acne. Dab it directly on the affected area. Moisturizer/Conditioner – My friend Molly pointed this one out to me! When used as a moisturizer, coconut oil will soften and hydrate dry or damaged skin. When used as a conditioner, it will strengthen and repair damaged hair. Massage the coconut oil into your hair and leave for ten minutes, then rinse. If you have frizzy hair, a dab can be rubbed in to correct it. Sore Throat – For all my singing friends, coconut oil can be used as a throat coat! Dissolve a tablespoon in your mouth to coat and protect your throat. Doing this will boost the health of your mucus membranes! Lip Balm – Coconut oil is a perfect alternative to chapstick and lipbalm. Coconut oil also offers about SPF 4 protection. How about that! Illness Prevention – Intake of coconut oil can help your bodies mount resistance to both viruses and bacteria. It can help to fight off yeast, fungus and candida as well. Nausea – Apparently, rubbing some coconut oil on the inside of the wrist and forearm can help to calm upset stomachs. I purchased my jar of Coconut Oil from Earth Fare for $9.99.